Illaoi’s first post-release skin is shaping up nicely. Riot is hard at work on Illaoi’s first post-release skin and, as promised, the design team is keeping the community up-to-date on the skin’s design process. 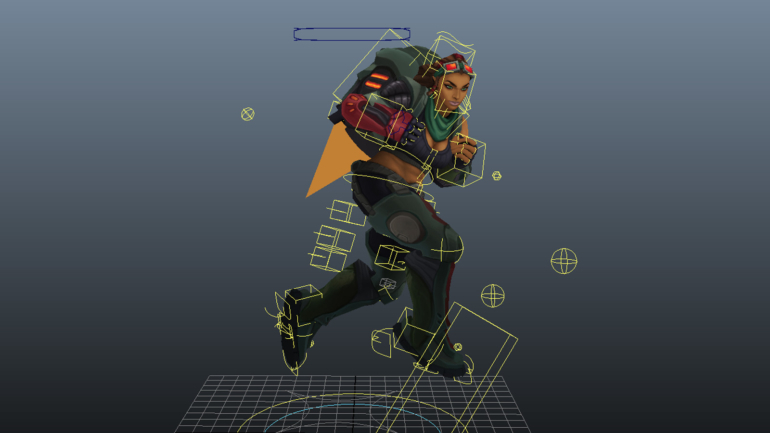 In the team’s most recent post on the project this week, fans were given an inside look into what it takes to animate a champion’s abilities, as well as how that changes per skin. As it turns out, Illaoi is considerably more complex to animate that most champions, sporting about triple the amount of animation files that Nasus requires. This might have something to do with why her first skin was pushed back for so long, but nonetheless, it’s pretty cool to see how it all comes together. The series of clips above were Riot’s own progressions for each stage of the recall animation’s development. The team chose to add some lighthearted fun into the otherwise serious skin by having her start the head jet-pack (head-pack? jet-head?) like a lawnmower. This portion of the design process took roughly four to five days to complete. Other parts of the skin’s design are coming along nicely, too, including some of the skin’s idle particles, such as the flames and smoke being omitted by the head, and parts of her altered voiceover. The various pieces of animation, such as the recall, voiceover altering, and particles, are all worked on simultaneously by multiple teams, which sounds like it could get pretty complicated. Battlecast Illaoi is still expected to launch some time around the middle of the season.